Senegal is a bustling African country amidst scenic, rolling sandy plains. With a population of approximately 15 million people, it is inhabited by various ethnic groups. Senegal is a country with contrasting imagery from solitary huts in the Savannah to the fast-paced reality in Dakar. Popular attractions include Lake Retba in Dakar and the Grand Mosque in Touba. Cheap flights to Senegal are now available for a limited period of time, so get ready to journey to West Africa. Dakar is the home of Léopold Sédar Senghor International Airport (DKR), which is a 30-minute drive from the city centre. The House of Slaves and its Door of No Return is said to memorialise the final exit point of the slaves from Africa during the Atlantic slave trade. This moving monument will allow you to understand the magnitude of the slave trade. 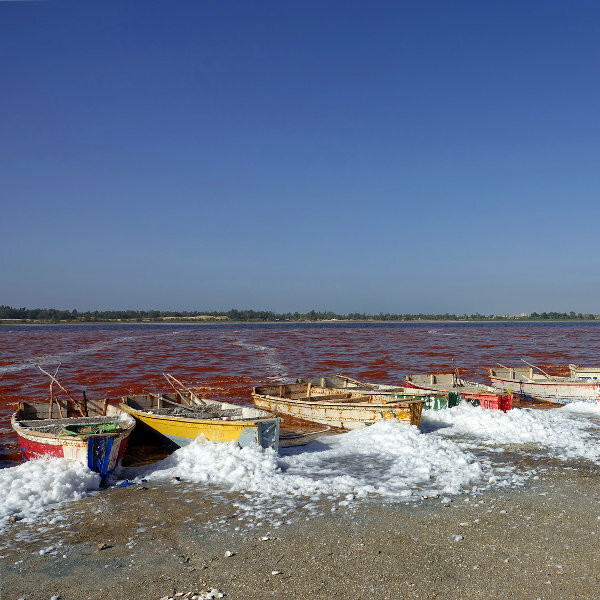 This unusual pink lemonade lake, also known as “Lac Rose” is located less than an hour away from Dakar. Its vibrant pink shade is caused by the Dunaliella salina bacteria, which produces a reddish pigment in order to absorb the sunlight. Senegal has an incredible array of wildlife, including red pata monkeys, West African crocodiles, gazelles, giraffes, and buffaloes. Pay a visit to one of the lush wildlife reserves to catch a glimpse of the amazing flora and fauna. Senegal’s climate has two distinct seasons, the dry season and wet season. November to May is the dry season in the country, with temperatures around 25 degrees Celsius. Tourists should be warned of the vigorous clouds of dust and sand storms that penetrate this destination. It is known as the Harmattan winds coming from the Sahara Desert. Visit Senegal’s coast during the months of February and April when the waters are perfect for scuba diving and swimming. June to October is the wet season in Senegal, which is due to the African monsoon. Some hotels in Dakar close down during this period; while others raise their rates. 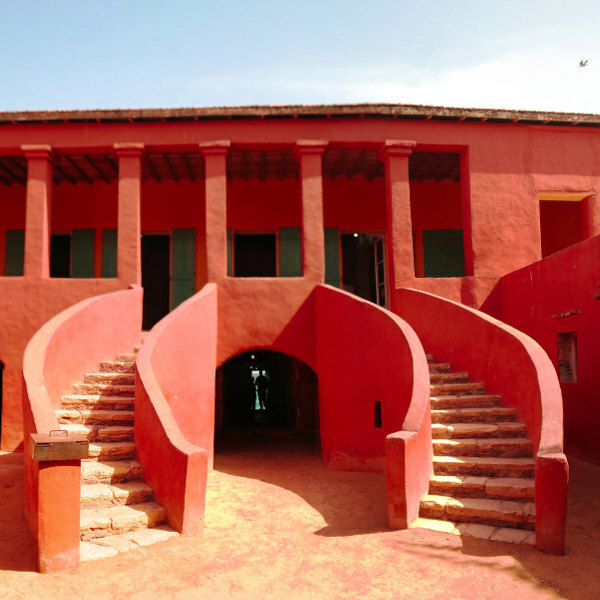 Senegal offers a journey into the French colonial heritage alongside beautiful locals who are eager to welcome tourists. A trip to Senegal affords a sensational time of embracing the African west coast’s traditions and exploring its beautiful attractions. Be sure to purchase unique crafts and textiles from local markets. Senegal is ideal for nature enthusiasts who wish to see game parks and reserves. 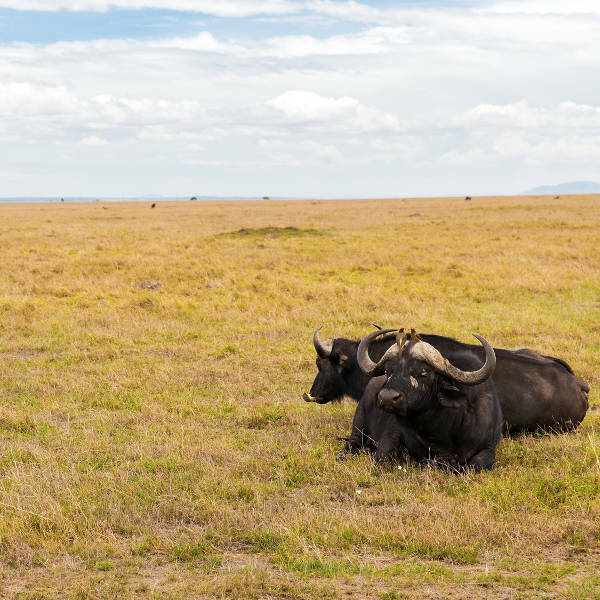 The country is home to an incredible range of wildlife, including the aardvark and elephant. Dakar is the capital city and its overcrowded, bustling streets make for a truly unique experience. Embrace the amazing weather and explore the city’s gem. Popular attractions include the plateau (downtown area), N’Gor, the Corniche (a long boulevard that runs parallel to the Atlantic on the west side of the city) and the African Renaissance Monument. Joal-Fadiouth is a small fishing village in the Thiès Region in Senegal. The main income of the town is through fishing, agriculture and tourism. Take the time to see the incredible coastal inspired architecture and seashell-filled streets. The local cemetery (the graveyard is buried in shells) is a mesmerising attraction. Compare several airlines and book your cheap flights to Senegal online at Travelstart. Travellers should be up-to-date with their routine vaccinations. These vaccines include measles-mumps-rubella (MMR) vaccine, diphtheria-tetanus-pertussis vaccine, varicella (chickenpox) vaccine, polio vaccine, and your yearly flu shot. You should also consider getting vaccinated for hepatitis A, malaria, typhoid and yellow fever. During the dry season, it can be a difficult experience for people with breathing problems, owing to the dust storms (Harmattan). • It is safer to use transportation provided by your hotel, as many taxi drivers tend to overcharge tourists. • Take extra caution during the dry season - strong winds known as the Harmattan can negatively affect your visit. Protect your eyes, mouth and nose during a dust storm. • Dress modestly in public, as Senegal is a predominantly Muslim country with a conservative society. • Muslim Senegalese might be offended by public drunkenness and kissing. • Always carry some form of identification with you.